My flights to and from Philadelphia were scheduled to land in the wee hours of the morning. Since I was traveling alone this was a little bit of a concern for me both ways. 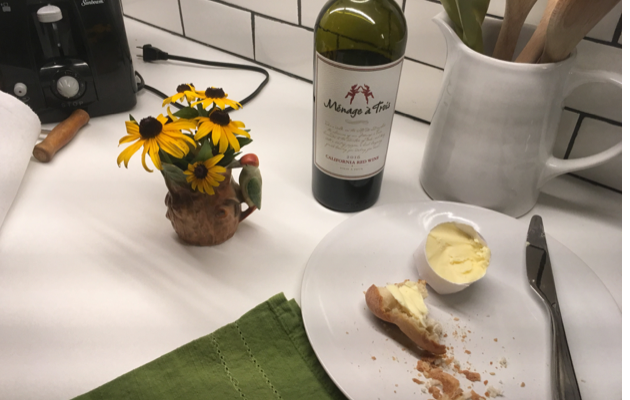 My kindly host at the Philly Airbnb had said to call her when I was in the taxi and she’d have the front door unlocked for me when I arrived. She also assured me that the journey from the airport was a straight shot and about 20 minutes. 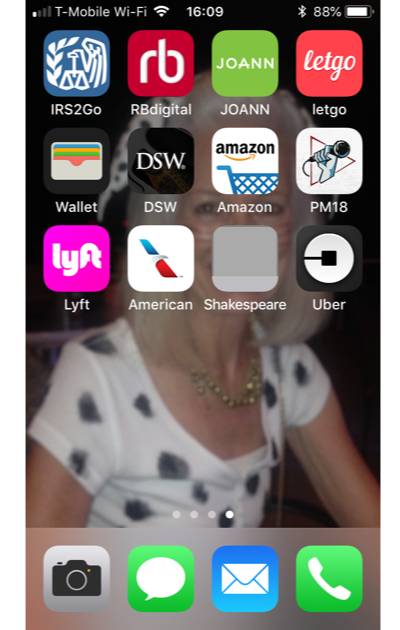 Before I left home I was feeling bold and downloaded both the Uber and Lyft apps and practiced requesting a ride from Footlights to DFW airport. There were always plenty of cars available, the cost was reasonable and I decided I could do it! 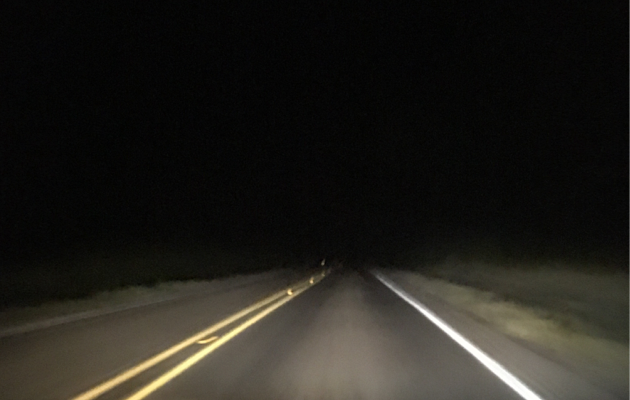 Still, when I landed in a strange city at 1am, without my brave Texan by my side, I was a little nervous, those stories…of getting into a car with a stranger and being taken to a remote spot in the country…played with my sensibilities. But I set the cautionary tales aside and stood at the curb with my fellow travelers with my phone and clicked the Lyft icon. Immediately a photo of Hasmin popped showing his car and license plate number. I clicked ‘yes’ and waited about 4 minutes watching his progress to where I was standing. He pulled up to the curb got out and put my bag in the boot and we were off. It took about 12 minutes to my destination and when we arrived he hopped out, retrieved my case and I was up the steps and opening the front door in no time. where I was to spend a few days with my film-maker son while we attended the Podcast Movement Conference. We used the ride sharing app. several times together and by the time I arrived back in Dallas, four days later at midnight, I didn’t think twice about hailing Lyft to come get me. “Do you know where you’re going?” I asked looking at his GPS on the dash. I knew exactly where I was going…I suspected he had never heard of FM 543, Weston or Rigsby Lane…all he could see on his GPS were the familiar city names he would be passing through, Frisco, Allen and McKinney. He had no idea I was taking him far out into the country, beyond the twinkling city limits, to a remote spot in the country…. Once we left the freeway and began the rural part of our journey I could sense a shift in confidence emanating from the driver’s seat. “Oh really?” he said, “I’ve never been here before…” I remembered my first experience along 543 at night, the dark, winding road seemed never ending. I kept an eye on his GPS to make sure it prompted him to turn onto Rigsby Lane, it did. 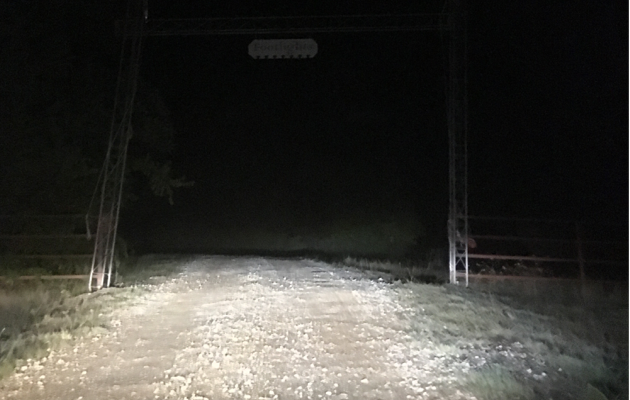 “This is a dirt road and I’m a mile along it so go slowly,” I warned, “never know if a dog or cow is going to jump out at you.” He looked from side to side. “You can put your full beams on if you like,” and immediately the pastures and hay fields sprang to life on either side of us further highlighting the vast, empty space. we continued with not a house or a barn or a trailer in sight, just overgrown meadows and dark clusters of trees. Finally the porch lights Hubs had left on came into view and the atmosphere in the car brightened. “Is it all right if I stop for a couple of minutes…to have a cigarette?” he asked. “Oh yes,” I said with a smile. “Thank you! Remember, just 11 minutes to Central,” and I was gone, into the waiting arms of Hubs hovering at the backdoor. I left him a handsome tip the following morning using my app. and wondered if he’d be quite so blithe on his next trip off the beaten track? I was glad when it was all over personally!